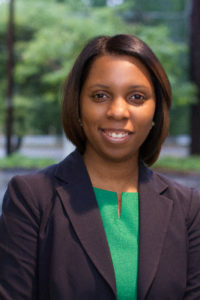 Carla C. Smith currently serves as the HR/Policy Director for Signature HealthCARE, leading recruitment, onboarding and policy for one of the largest skilled nursing healthcare providers in the USA. Prior to this role, Carla served as Deputy Director of the Georgia Senate Democratic Caucus after serving as Policy Analyst for then Senator Hardie Davis during the 2013 Legislative Session of the Georgia General Assembly. Most recently, Georgia Trend Magazine named Carla a Top 40 Under 40 Georgian to Watch. She also completed the Women’s Campaign School at Yale University in 2014. During the 2013 Legislative Session, Carla received the Legislative Health Policy award by the Georgia Health Policy Center at Georgia State University. Actively engaged in her community, Carla is a member of Alpha Kappa Alpha Sorority, Inc., a graduate of United Way VIP, New Leaders Council, the Women’s Leadership Academy, Leadership Buckhead and the Georgia Women’s Policy Institute. Carla serves as an Advisory Board Member for New Leaders Council Atlanta, a member of the Georgia Healthcare Association Legislative Committee, Chair of the Governance Committee and Vice Chair of the Board of Directors for The Museum School of Avondale Estates. Carla was born and raised in Augusta, Georgia and is a graduate of Paine College where she was previously awarded the Outstanding Alumni of the Year honor and The University of Georgia. A lover of travel and a die-hard University of Georgia Football Fan, Carla and her son reside in Avondale Estates, Georgia.